There were no reports of ceasefire violation by Pakistan along the Line of Control in Jammu and Kashmir's Poonch and Rajouri districts since Saturday night, even as the army was on high alert and maintained a tight vigil, officials said. 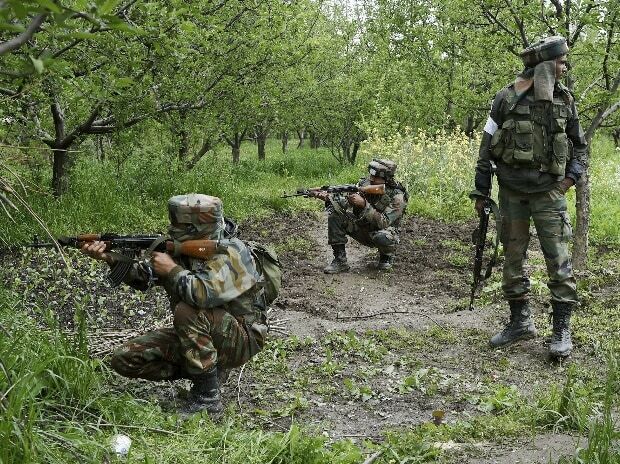 Barring ceasefire violation in Nowshera sector of Rajouri district from 12.30 pm to 2.30 pm on Saturday, there were no reports of firing in the rest of the sectors since 11 pm Friday, they said. "There is no report of firing and shelling by Pakistan along the LoC overnight...the army is on high alert and maintaining tight vigil," a defence spokesperson said. The cross-border shelling witnessed a spurt after India's air strike at a Jaish-e-Mohammed terror camp in Balakot in Pakistan's Khyber Pakhtunkhwa province on Tuesday, 12 days after the terror outfit claimed responsibility for a suicide attack on a CRPF convoy in Kashmir, killing 40 soldiers. More than 80 forward villages were targeted by Pakistan in over 50 ceasefire violations in Rajouri and Poonch districts alone since Tuesday last, which left four civilians, including three members of a family, dead and several others injured. The lull in the cross-border firing came as a major relief to the border residents, who faced intense shelling by Pakistan, forcing many families to move to safer places. Amid heightened Indo-Pak tension, Army chief Gen Bipin Rawat visited the Jammu-based White Knight Corps on Saturday to review the operational preparedness and exhorted all the soldiers to remain vigilant.